It isn’t uncommon for designers to embrace outrageous new trends and ideas, but recently one designer has taken it a step further by debuting a revolutionary piece of technology at this year’s spring fashion week. The audience at the DVF fashion show was buzzing with questions about the futuristic headset the models were wearing, wondering if they served a purpose other than mere accessories. Soon they found out that glasses could be used not only as a fashionable accessory, but also a computerized device. Diane von Furstenberg has been known for the past 20 years for being innovative and original with her first major contribution to the fashion world being the iconic wrap dress. She showed that fashion can mix with technology by helping Google unveil its Google Glass. These new glasses are the iPhone to all other glasses with groundbreaking features that will change how people see things, literally. The overall goal of Google Glass is to create a device that is hands-free and allows users to live in the moment instead of juggling between their phone, tablet and computer. The glasses can be compared to a wearable computer or a wearable phone with an impressive operating and hard drive system. The glasses are sleek and modern with a stainless steel frame and sides that come in various color choices. The glasses rest on the bridge of the wearer’s nose, just like a regular pair of eyeglasses, yet at this stage of development they do not have lenses. The glass reaches up to the eyebrow, slightly covering it, with the screen resting in front of the upper eye. Even though the screen is visible to the upper eye, it does not cover the actual eye itself. The screen is unseen until the wearer looks up to the corner where the screen is located. This allows no interference or disturbance with an individual's normal vision. In the screen, the user can see the Glass’s operating system of icons and can browse through and select one with a swipe of a finger on the touch pad. The touch pad is located on the temple component of the glasses. The glasses also feature a camera right where the hinge is located. The camera allows the owner to take pictures and record and stream live video to others. In addition to these functions, the user can also video chat with their friends with the incorporation of Google Hangout. 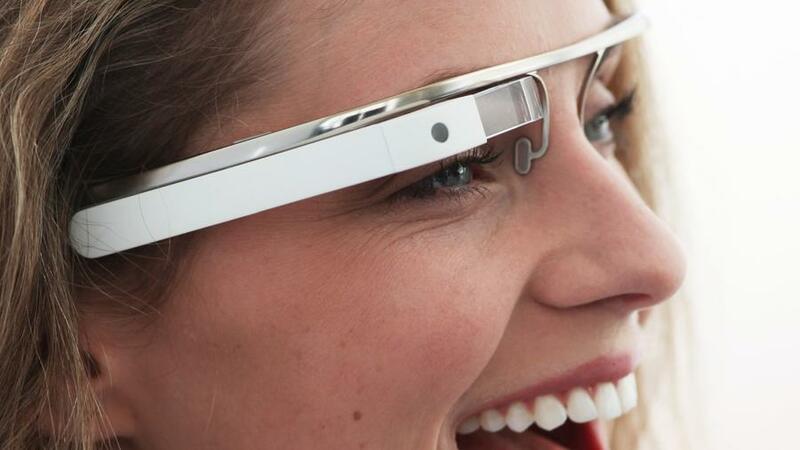 Other futuristic features of Google Glass include live maps, music, reminders, updates, voice command and messaging. With so many features, it is surprising that the glasses only weigh around 36 grams, which is equivalent to the weight of regular sunglasses. You will have to wait and probably save up for at least one year if you want to be the first one with these new specs. Google is expecting to launch the glasses to developers in early spring of 2013 and could cost them close to $1,500. On the retail level, Google Glass is projecting a 2014 release. By then, pricing is estimated to drop so that the technology will be more affordable for consumers. Fashion and technology don’t usually merge so seamlessly, but with DVF showcasing sleek styles for spring 2013, it was a perfect fit. Google Glass made its way down the runway and may be on its way to becoming not only a fashion staple but also a technology must-have. Check out this link for a sneak peek demo on what’s to come with Google Glass!